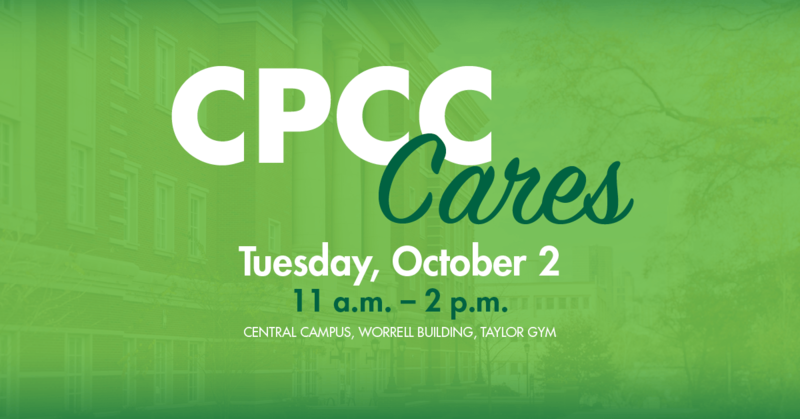 Come join us for CPCC Cares, a wellness fair to improve students’ physical, emotional and financial health. Representatives from a host of college departments and organizations within the Charlotte community will be on hand. 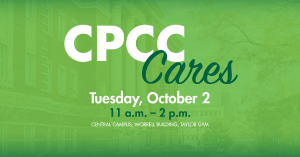 CPCC Cares is a collaboration among Counseling Services, Family Resource Center, Single Stop and Student Life. This entry was posted in Community and tagged CPCC Cares by Mallory Benz. Bookmark the permalink.